Looking for the perfect wall decor for your baby nursery? 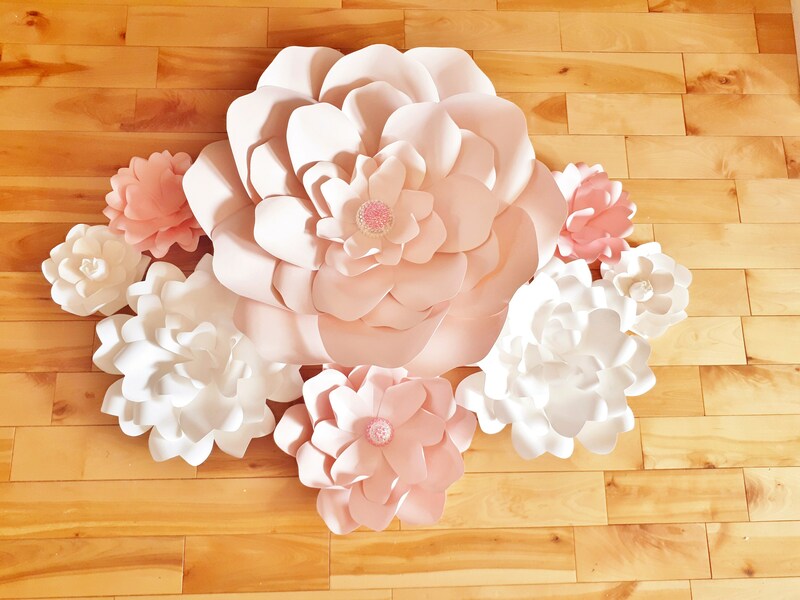 This set of 8 is perfect as an accent flower wall or just above the crib or changing table. This paper flower set can also be used for birthdays, baby or bridal showers as well as weddings. For weddings this can be a great accent for your reception backdrop, as a flower wall for your ceremony, or as wedding flower accents. Flowers come completed (no assembly required). Offering a varied look with flowers ranging in sizes of 5 inches to 24 inches with jewel and/or paper centres. Beautiful! The size of the flowers are amazing in person. The seller worked with me to select just the colors I needed. These turned out great and right on time! Thank you!